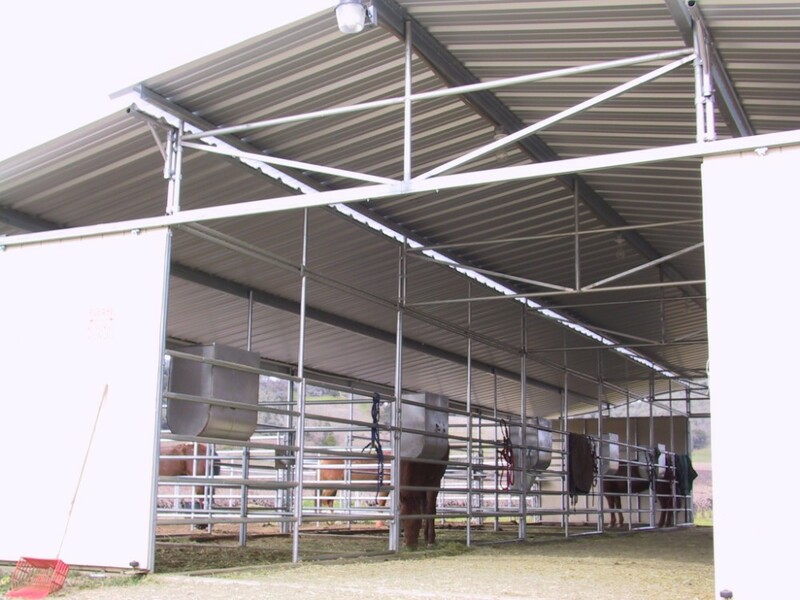 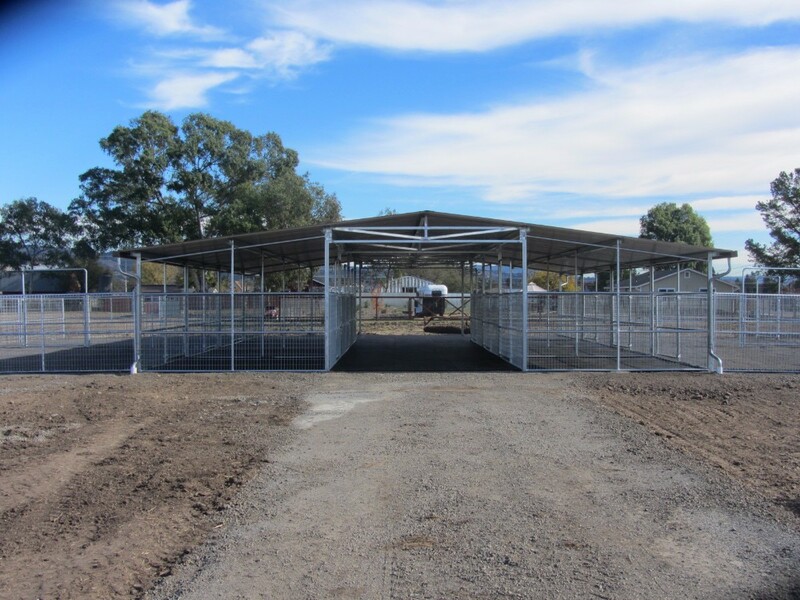 Open Air Mare Motels offer great ventilation and visibility for your animals while giving shelter from the elements. 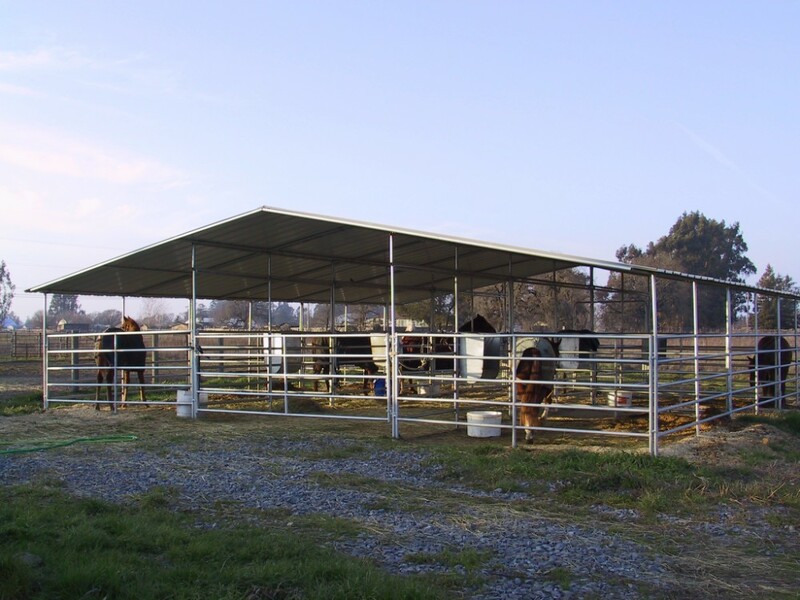 Designs vary from simple 12’x12′ stalls to 12’x24′ stalls with a raised center aisle and enclosed sides. 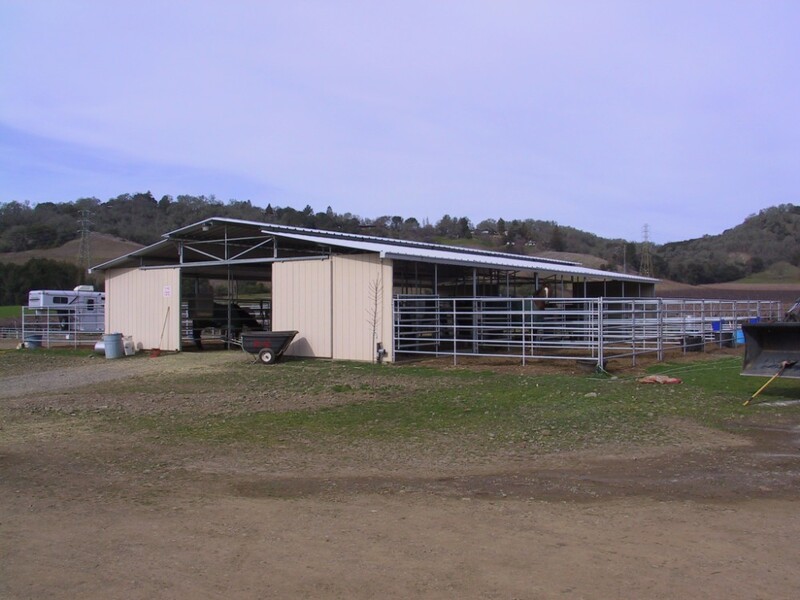 Standard Mare Motels include 5 rail panels, a 12′ breezeway and either 12’x12′ stalls or 12’x16′ stalls.